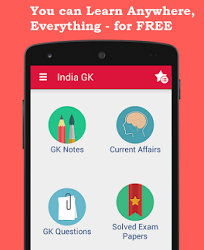 5, 6 September 2017 Current Affairs MCQs, Quiz, Questions: Current Affairs for September 2017, Daily Multiple Choice Questions (MCQs) for India GK, World GK and current affairs with Collection of daily objective type Question by www.Indiagk.net based on General Knowledge (GK) and General Science (GS) Questions for UPSC, State PSC, SSC, Police exam, Railway exam, SBI, Bank PO, IBPC, SSC, LDC, UDC, Army, Airforce, Navy, Coast Guard, Bank Clerk, TET and all entrance examination with current affairs News, Multiple Choice Questions (MCQs) available on Website www.IndiaGK.net and Android Apps with daily updates:. RBI recently includes which Bank in 'too big to fail' List? Shirish Pai, who passed away recently, was the noted poet of which language? Which city became 9th Indian city to have Metro Rail system on 5 September 2017? Gauri Lankesh was shot dead on 5th September. She was a ---- ? Who is Foreign Minister of Myanmar?